Helen Boden is a Yorkshire-born, Edinburgh-based poet, teacher, editor, walker and third-generation baker. Particular literary interests include writing and the visual arts, and writing outdoors. In 2012 her work appeared in a range of site-specific projects, from a collaboration with craft makers at the Pittenweem Festival, to words for the walled garden in Edinburgh’s Hermitage of Braid. A former lecturer in English & Scottish Literature at Edinburgh University, she has also published widely on eighteenth- and nineteenth-century poetry, women’s writing, travel writing and contemporary Scottish poetry and culture. 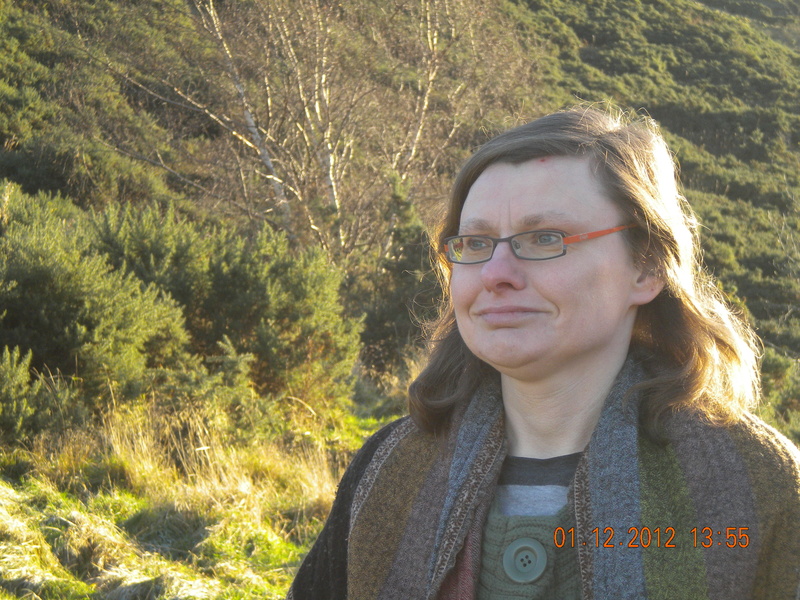 She has a longstanding commitment to the therapeutic benefits of creativity and has been involved in the work of Lapidus Scotland for the last decade, facilitating workshops and training, and writing articles on writing, walking and wellbeing.